The Company was engaged to manage the construction of the new CIT Horticultural Facilities at the Bruce Campus and undertake the relocation of the faculty from the Weston Campus. The facilities comprise 3 modern industrial style buildings incorporating classrooms and workshops; chemical, fuel and machinery stores; wet areas and a retail gallery. Outside of these premium grade industrial buildings, the facilities boast; 4 state-of-the-art greenhouses; outdoor Aramax sheltered teaching areas; shade structures; complex underground electrical, water and gas reticulation including a dam, ponds and numerous holding tanks; roadways; and a multitude of large scale landscaping finishes – the block is over 4 hectares. The coordination of the underground services proved to be an essential undertaking. The dam on the bottom-side of the facility collects stormwater from the entire Bruce Campus. 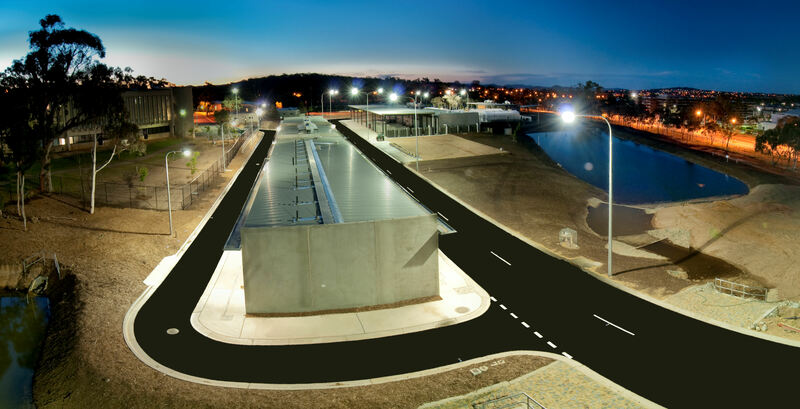 This stormwater enters the project from numerous areas which had to be carefully coordinated with the complex reticulation system being constructed as a part of the water re-use and landscaping works. 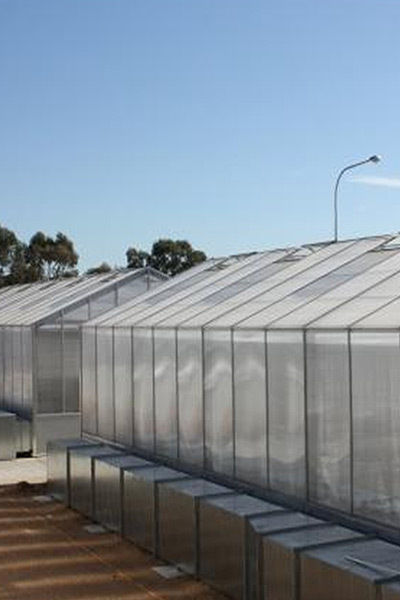 The greenhouses were built as a machine. The moving parts are simultaneously controlled by the weather and can all be monitored from any data point on-site. The mechanisms include; humidification control of the air; solar control by way of automated retractable shading; temperature control is undertaken in numerous stages utilising automated sash vents, hydronic heating, electrical heat mats and conventional air conditioning. The structural steel gutters perform numerous functions besides managing the reuse of the water. 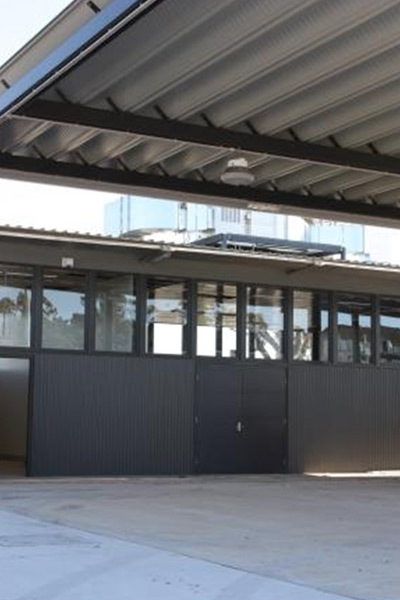 These include supporting the industrial sized structural steel sliding doors and sun shading for the building internals. 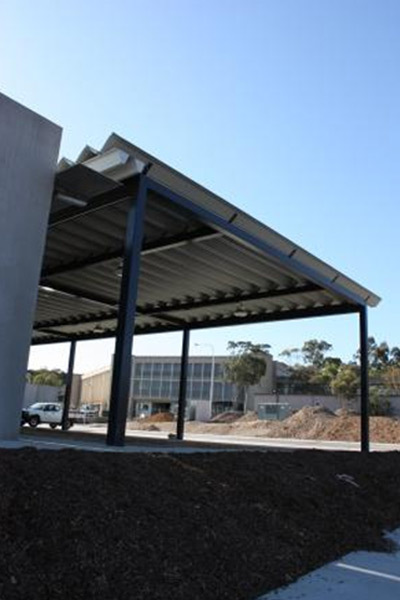 The Aramax roof is a system which requires the roof profiles to be rolled on-site. A specialist machine similar in size to a shipping container was brought to site to make this seemingly mammoth task a simple carefully calculated undertaking. Despite the industrial specification on the project, Project Coordination were able to conceal the vast majority of the services within the structural elements. Winner of the ACT Sustainable Cities Award 2010 for Water Conservation.